This year, one of my resolutions is to be faithful in contributing to Music Thursday. Like most resolutions, I hope this one isn’t fashioned to be broken. 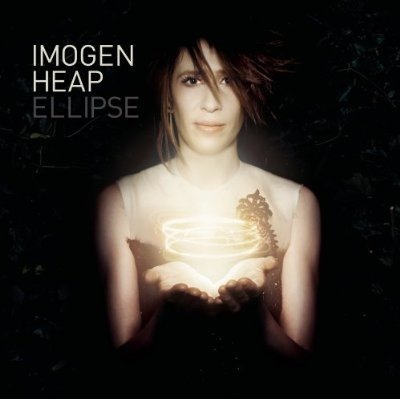 I’ve been listening to this song by Imogen Heap like crazy for the past couple of weeks. I thought I’d share. On the deluxe version of the album, I really like the instrumental version. It doesn’t have the emotional tenor of the vocal version, but it really converys a mood to me. For some reason this song really makes me think of being in England and living in the 80’s. At the same time. It’s kind of a strange sensation — this song causes two deeply nostalgic periods of my life to overlap that I never would have thought compatible. I’ll let you listen now…. You guys might have heard, the first Indiana Jones movie in 19 years is coming out this Memorial Day weekend. So, Steph and I have devised an equation. Are you in or are you out? Let us know. Discuss below. Just a quick post to say that June approaches, and we have June 15-17 as the weekend for you all to come up to the lake, if you are interested and able. Everyone is invited. Let us know what might work for you. Or let us know if you can’t make it, so we can plan accordingly. We can arrange to pick you up at the airport, or we can give you directions to the lake if you’re driving up. I hope this will be a good way to get together this summer! Well, October has been a great month for me. This past weekend, you all know what we were up to. One weekend ago, some of my K-State friends congregated at our house for a reunion we have once a year, usually in the summer. Two weekends ago I got the to enjoy the Ozark autumn, with trees just at the cusp of their full fall colors. I went camping with 3 guys from Kansas City I know through our church in the Mark Twain National Forest. The end destination on our hike: the Devil’s Backbone. Below is a photo my friend took while we were on the ridge (it was very backboney). Click on the photo to see the full panorama…. While we were there, I thought about all things Devil’s Backbone and was reminded of a great movie by Guillermo Del Toro: The Devil’s Backbone. Since this is Halloween night (I’m currently writing while waiting to hand out candy with Steph, the kids keep coming up to our door) I thought the movie buttressed up against my reflections of this October nicely. I recommend this movie greatly. It takes in Spain during the Spanish civil war in 1939. I don’t normally watch horror films. However, the horror from this film isn’t produced by the film’s ghost, but instead comes from the humans caught up in this war. At least, that’s my take on it. It’s a ghost story where the most terrifying element comes from the humans. Watch it, if you’d like. I’d love to hear your reactions on it. The DVD cover stinks, by the way. Oh, and catch Pan’s Labyrinth when it comes out, also by Guillermo Del Toro. It looks fantastic too. …of course, it has the right to be horrible and I’ll have to take my ringing endorsement (for a film I haven’t even seen) back. I should be more careful.